This is a garden orb spider I found in my backyard. 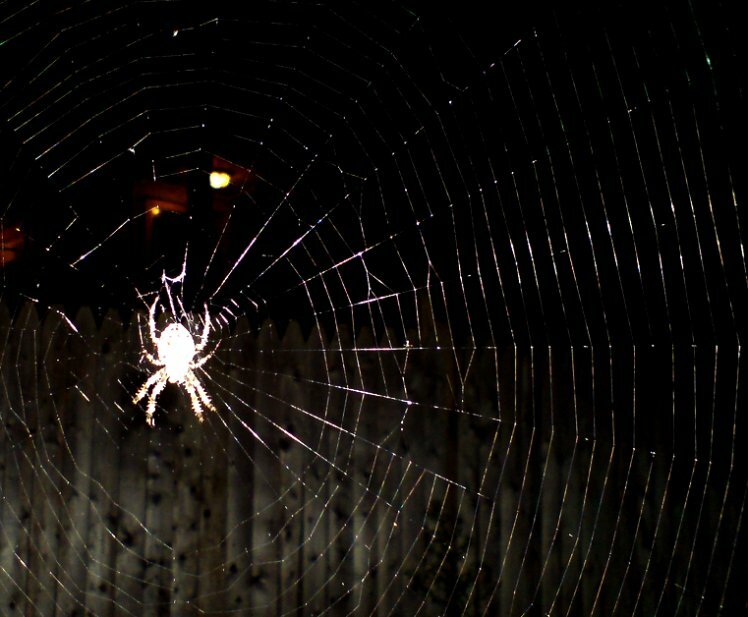 I've started to enjoy taking camera shots of webs especially at night, when the flash illuminates the web and the dark background provide the contrast. 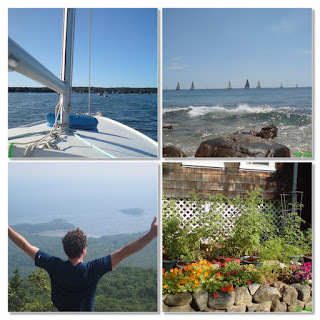 I had a fantastic New England summer -- From spending time on Quonochontaug pond on the Patti Ann, to the beaches of RI and Gloucester, exploring the coast of Acadia, or just tending to my vegatable and flower garden. I enjoyed body surfing and snorkeling around the tidal rivers of Good Harbor beach and many weekends looking across to block island from the rhode island coast. We camped and hiked in Acadia Maine, after a long hike swimming in Echo Lake was very refreshing. Enjoyed kicking back on the camp hammock, starting up a roaring campfire, and walking down to Bass Harbor Lighthouse during a misty sunset. The vegatable garden turned out well this year, it was my first year using heirloom seeds from tomatoes which I ate the year before. I once again tried to optimize my space, and this year had much more room for flowers since the shrubs had been removed.